Most WPP staff were stunned by the news that Sir Martin Sorrell is facing an investigation into his personal conduct and use of company assets. But at least one senior executive heard something was brewing before rumours began to fly internally over the Easter weekend, when journalists from The Wall Street Journal, which broke the story on Tuesday, contacted agency leaders. One senior figure inside WPP says: "It’s serious – for it to have come this far and the board not to have resolved it." Another source claims Sorrell can sometimes be "rude and too forthright" but adds that they have always found him to be "straight as a die" when it comes to financial matters. Sorrell has been under pressure in the last 12 months as WPP's revenue growth has gone into reverse and the share price has tumbled by a third as clients demand greater transparency and do more of their digital marketing in-house. Few details have emerged so far about WPP’s independent investigation. 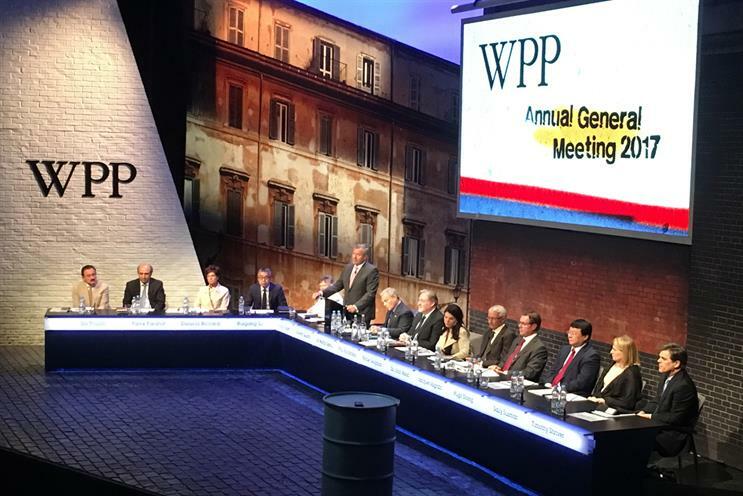 WPP, whose board is led by chairman Roberto Quarta, issued a short, neutral statement, saying it has "appointed independent counsel to conduct an investigation in response to an allegation of personal misconduct against Sir Martin". It added: "The allegations do not involve amounts which are material to WPP." Sorrell has issued a statement saying he rejects the allegation of financial improriety "unreservedly" while recognising the board needs to investigate. If there has been an issue over his financial arrangements, it has been his willingness in the past to accept some significant expenses such as £274,000 for "spousal" travel – as he did in 2014. That seemed unnecessary for a chief executive who was regularly earning over £40m a year in the good years between 2014 and 2016, including £70m in 2015, when his long-term share awards were paying out. The big questions are: What will the investigation uncover? And will Quarta and other directors on the board support Sorrell? The investigation will move as swiftly as possible but there is no timescale. Three law firms, including Allen & Overy and Slaughter & May, are said to be involved. There is speculation in the City about tension between Sorrell and the board. Quarta, an Italian who was dubbed "Give no Quarta" and "Bob the Knife" during his days in industry before joining WPP, is tough. However, insiders say they haven’t witnessed that toughness so far during his three years as chairman. Quarta was supportive of Sorrell at last year’s annual general meeting when there was relatively little oppositon to the chief executive’s pay because the group has adopted a less generous long-term bonus scheme. "I don’t think pay is going to keep Martin here at WPP," Quarta told the AGM, noting that Sorrell had built WPP from "nothing" and he has been "fully committed" to the world’s biggest advertising and marketing group for more than 30 years. And that commitment "hopefully will keep him here for many, many more years", Quarta added. However, the investigation has raised fresh questions about the Sorrell succession. Sorrell, who is 73, has a reputation for being a brilliant, hands-on operator. He has successfully built and run WPP as chief executive for 32 years and knows the importance of financial and legal regulations. He is driven, loves winning new business and is adept at wooing clients. However, even allies admit he can be short-tempered and combative when he is unhappy or under pressure. WPP has said it has an internal pool of senior executives and a "constantly refined list of external candidates" but there is no obvious choice. When things were going well and WPP doubled its share price between 2012 and 2017, Sorrell could brush off the critics. What has changed in the last 12 months is a recognition that WPP urgently needs to restructure itself and has been slow to respond to change. "Media-buying papered over the cracks," one City analyst says. Sorrell has ordered a string of internal agency mergers in the last year but some think WPP still looks unwieldy. WPP's share price slipped 2% on the news of the investigation. That suggests investors aren’t overly worried – even if it hastens Sir Martin’s exit. Sorrell will be hoping to ride out the storm. He has always said he will stay as long as shareholders want him until he is carted off "to the glue factory". At this difficult time, Sir Martin, a keen student of history, will be thinking more than ever about his legacy.